In case you missed it over the weekend, an editorial in the Charlotte Observer provided a succinct summation of the McCrory’s administration’s performance surrounding the damning coal ash scandal testimony of state toxicologist Ken Rudo. 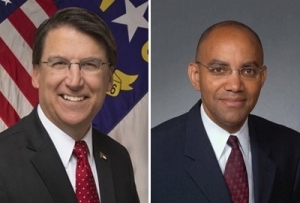 As you will recall, NC Policy Watch reporter Lisa Sorg reported last week that McCrory’s chief of staff Thomas Stith called a hasty late night press conference to accuse Rudo of perjury — even though he had not read Rudo’s testimony. “Stith was not at the meeting in question and so has no first-hand knowledge of what happened. ‘My understanding is the governor did not participate in the meeting,’ Stith said in his deposition. It is extraordinary that a governor’s chief of staff would call a press conference and accuse a respected toxicologist of lying under oath when he has no first-hand and very limited second-hand knowledge of what happened. And last month, McCrory’s campaign planted questions at a Charlotte event that were portrayed as coming from the public.